I don’t know how many times I got the question “How do I customize the file associations in Windows 10?”. First options is to use the DISM tool. Simple and straight forward. Use this in your Configuration Manager/Microsoft Deployment Toolkit Task Sequence or your choice of deployment solution. Remember this option only takes care about new user profiles. To handle running users head over to the second option. So use this option to your already logged on users. 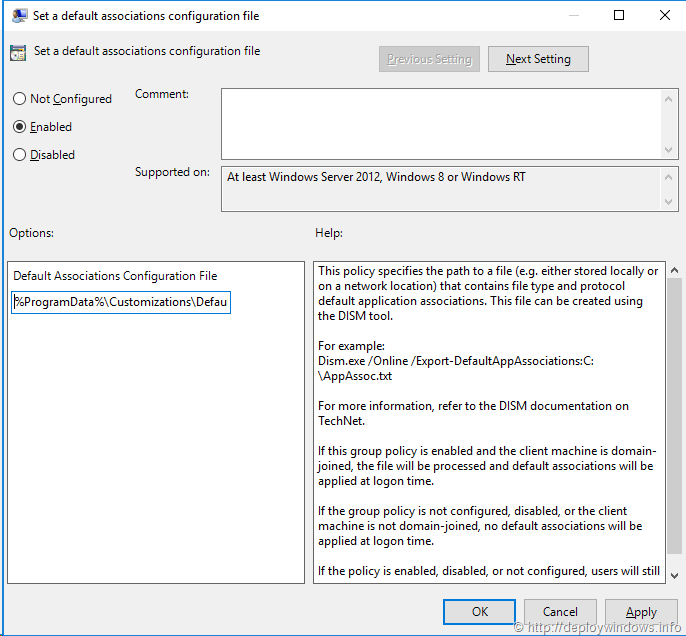 I always suggest to copy the XML to the local computer first, with a ConfigMgr package or Group Policy Preference. Why? This is simply more reliable and faster, than running over network. Depending on your size, network topology and other requirements running directly over network may be an option for you. Note! Preference does not use normal system variables, that why I used %CommonAppdataDir%. You can see the full list if you press F3 while in the text field. Also do not forget to place your XML file on the NetLogon share, or your preferred share. 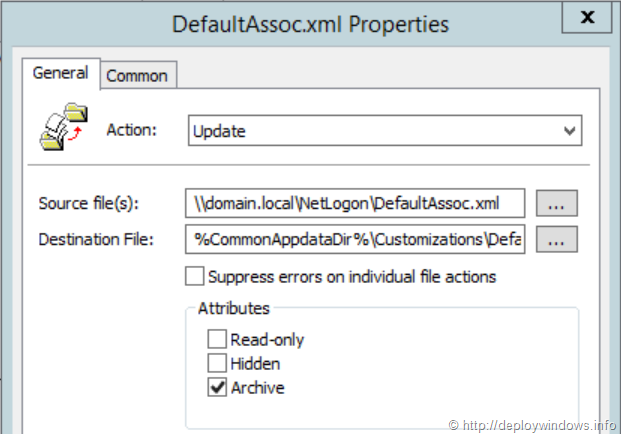 Open the setting called Set a default associations configuration file, choose enable and paste the location to the XML file on the local computer, in my example %ProgramData%\Customizations\DefaultAssoc.xml. Now you are done, switch to a domain joined computer and test your configuration. If a user wants to change the default associations they can override the settings, by just right the file and Open with option. User setting wins.